In this audio clip, I talk about how Google Adwords is an amazing way to generate targeted traffic for your business. I also talk about some of the disadvantages of a Google Adwords campaign, and how evergreen content creation can form a key part of your overall client acquisition plan. Please let me know if you have any comments in the section below, I am especially interested in hearing from you about your company’s approach to this. Hi, this is Paul from BigBoxContent.com. 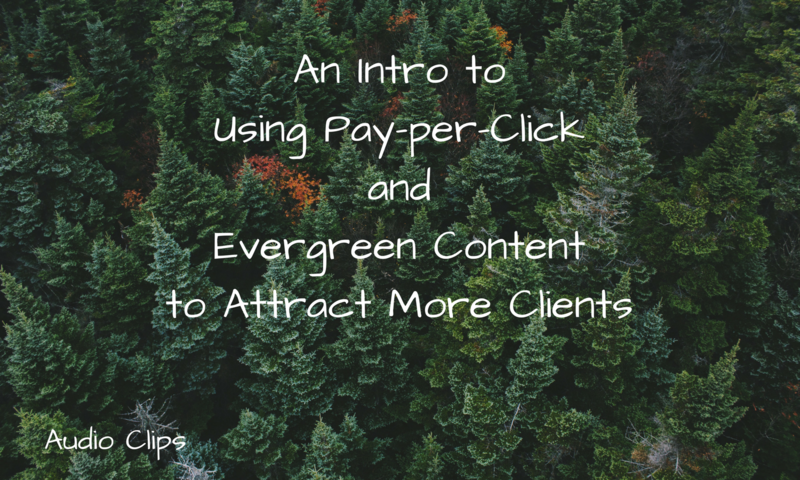 I just wanted to share a few of my thoughts on evergreen content and PPC or Pay-Per-Click. Well, first of all, when I refer to PPC, I’m mainly talking about Google AdWords. That’s where the vast majority of my experience has been. I should also point out there are other search engines where you can employ PPC, such as Bing and Yahoo! Search, but really I’m focusing on Google AdWords when I refer to PPC. So, how does that work? Well first of all, you as an advertiser can set up an account with Google AdWords so that when someone types in a specific search term, a search term that is going to be related to your business, then your advert is going to appear. If you look at the search results on Google, if you just type in something into Google and you look at the search results, normally you will see both the organic and natural results, and then, at the top and the bottom and the side, depending which of those positions is being used, you will see other adverts that look very similar but just have a small ad, A-D, next to them indicating that it is indeed an advert. Let me just give you an example. Let’s say you have a plumbing company in London, and you have a website and you want to direct traffic to that website. Well, you could set up a Google AdWords account and you could use keywords such as plumber, London, plumber in London, London plumber, London plumbing, plumbing service London, and so on. You could set those up within your Google AdWords account so that every time or some of the time that someone typed that into Google, if that person is in London, again that’s another thing that you can set up with the platform, then your advert will appear. That person then has the option to click on your advert. If they do click on your advert, then they’re going to be taken to your website. 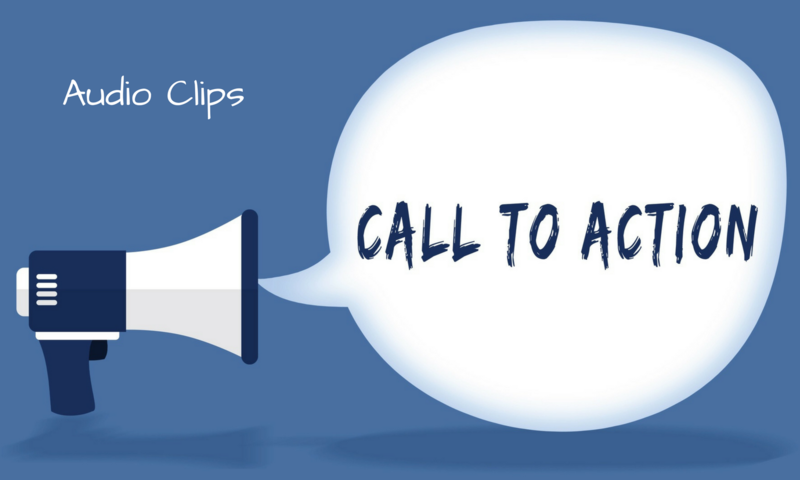 If your website has a great landing page and calls to action on your page and it looks like a very professional site, then hopefully that person will then take the next step, which should be to call you or to contact you in some way because they’re interested in that service. How do we know they’re interested in that service? Because that’s exactly the service that they were looking for, and this is the whole point about targeted traffic. We’re not just going out there advertising on a billboard and hoping that someone is going to respond. That’s kind of the old-school way of doing things if you like. This is really targeted traffic. We know that these people are looking for that particular search term and they’re looking for that particular search term for a reason. One of the main reasons that they’re doing that is that they actually want to hire that particular service. So that’s one of the main reasons to use Google AdWords is to get this amazing targeted traffic. Google AdWords is really an incredible, incredible platform. You can control your budget. So let’s say if you only wanted to spend $100-per-month or $50-per-month or whatever it might be, you can completely control that through the Google AdWords platform. You can also check out a whole bunch of statistics or analytics related with your advertising campaigns so you can see what the click-through rate has been for a particular advert. You can see what the number of impressions has been for a particular advert. You set up within your account these adverts, these small adverts, normally a few lines long, very easy to set up, that appear when someone types in your keywords. So you can get all of this data and you can for example do split testing of different adverts to see which one is working for you and so on, so really, really efficient, amazing, amazing platform, and it can really bring in lots and lots of targeted traffic to many, many businesses. So what’s the catch or what’s the downside? Well, I think the downside really is that it is a paid platform, and it can, in certain industries or in certain niches, become quite expensive, so a lot of times, you know, a person will start off with a Google AdWords campaign that is costing them, let’s say, 50 cents-per-click, and after some time that then goes up to $1-per-click and a couple years down the line that’s at $2-per-click. So, really over time, the tendency is for the cost-per-click to increase and that depends on the industry. That depends on exactly what is happening, but typically it’s going to go up and typically it’s going to go up because there’s more competition in that particular market. As more and more people are clicking on these adverts, it drives the price up. So that’s definitely an issue with Google AdWords, and what do you do about that? The other thing to note is that once you’ve actually paid for this advertising, it’s gone in a way. So it’s the same as if you advertise in a newspaper. Well, once you’ve advertised in that newspaper, and, you know, if you advertise in the Sunday newspaper, once Sunday has passed, well not that many people are then going to be referring back to that newspaper and come across your advert, so it really is effective for that one day. In the case of Google AdWords, once you’ve used up your budget, once you’ve had those clicks on your adverts, well then you need to pay again if you want to keep going. So you need to, let’s say you’ve invested $50 over that first month or $100 or whatever it might be, from that you hope that you have a certain number of clicks on your website, and, with that certain number of clicks, you hope that a certain number of people have contacted you and not only have they contacted you but you have managed to turn their contact into a sale, into some form of business for your company. If not, well, then it’s not really working very well, unless of course you have built up a great pipeline. It might take you two or three months to close the sale. But the important thing is that you need to have value out of Google AdWords, and sometimes, depending on the niche and depending on your particular budget, it just becomes too expensive to keep going with Google AdWords or to keep investing lots of money in Google AdWords. Now, what if there was a way in which we could keep getting traffic to our website but we didn’t have to keep investing over the long term, over many years, in order to get that traffic? Well, perhaps there is, and the solution or possibly a part of the solution, I’m not going to claim that this is the whole solution, but part of the solution is to produce evergreen content, so content that is relevant for a long period of time. Now it could be audio content, it could be video content, it could be text as in blog posts or featured articles, that kind of thing, so any form of interesting, engaging content that you are going to place on your website. Now what kind of content is evergreen? Again, it’s worth giving it some thought. News articles are unlikely to be evergreen content, at least not to a full extent. Of course, the news is relevant, today’s news is relevant today, tomorrow today’s news is not quite so relevant. Over time, of course, people refer back to historical news, of course, that’s always going to happen, but it tends to be replaced to a large degree by today’s news. If we look at something different, for example, a process, let’s say a process within the oil industry, the oil and gas industry, let’s say the process for extracting oil. Well, that may well change over time as well, but it’s not likely to change overnight, so a process that is used today is likely to be around for a little while. So if we’re writing about that process or explaining that process, then it’s likely that that could be classified as evergreen content. Evergreen doesn’t necessarily mean forever, of course. It could be for a few years. It could be for five years. It could be for longer, could be for more than 10 years, so there’s no fixed time period that I would associate with evergreen content other than to say it’s certainly going to be around for a few years in most cases. What pieces of content make good evergreen content? Well, lists, top 10 this or top 10 that, how-to articles, interesting, engaging articles that become shareable, as well, because it’s not just about getting traffic initially to your site, it’s about people sharing and interacting with your article, with your audio, with your video, that’s just going to make it more and more valuable to you especially over time. Now, what’s the key thing here? Once you have produced that particular article, once that particular article is on your website, you can link to it forever. You can share it forever. There is no additional work that you need to do on that particular article, and in many cases, for many entrepreneurs, for many businesses, they will get lots of additional traffic over a long period of time if they have a good piece of quality content. It is of course very important that it’s quality. Why? Because the higher the quality, the more likely that people are to recommend it, to link to it, to share it, and so on. Now of course we may invest in more content over time to get even more traffic, but for that initial piece of content we don’t need to do any more work with it. Now imagine a situation where we’re working on content over a couple of years, producing let’s say a blog post every week, an audio every month, a video every month, well over time we can build up a complete library of content that is going to continue to attract clients to our site even if we stop producing content at some point in the future. So that’s what’s amazing about this evergreen content. We can also distribute it using tools such as Hootsuite, Buffer, and Meet Edgar, but that content distribution very, very important. That’s probably a topic for another session. What I want to wrap up with today is to say that I think Google AdWords is amazing, absolutely amazing and can really drive a lot of traffic to businesses. I think evergreen content is amazing as well, so it’s about finding the right balance. For some people, they have built businesses using 100% Pay-Per-Click advertising. 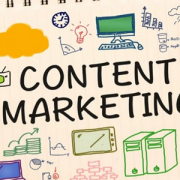 For other people, they have built businesses using 100% content creation and distribution or content marketing. So those are the two extremes. Of course, many, many businesses have opted for 50% Pay-Per-Click/50% content creation or some distribution in between the two extremes. So I’m going to leave you with a question today, and the question is what distribution is right for you? What distribution is right for your business? Have a think about it, let me know. I’m on Twitter @BigBoxContent or you can contact me through the website, www.BigBoxContent.com. Thanks so much for listening, all the best. Bye-bye.